India beat Bangladesh by eight wickets in the Asia Cup T20 2016 final to lift the title for the record sixth time in Mirpur on Sunday. 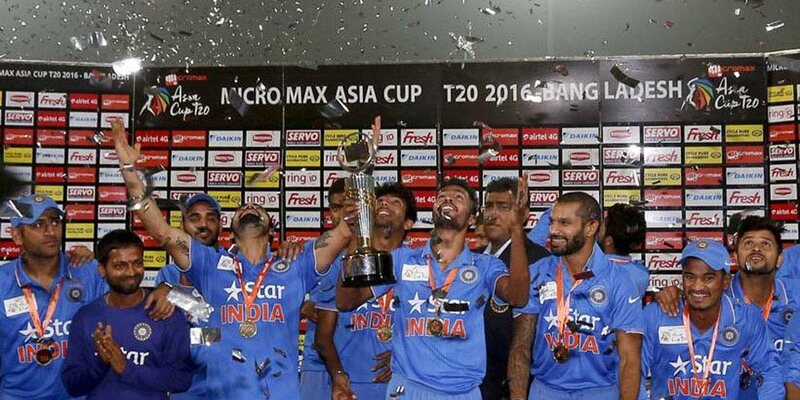 With this victory, India lifted their sixth Asia Cup title. This is the first time the Asia Cup was held in T20 format and India proved why they are No.1 side in T20 Internationals. India finish their unbeaten run in the Asia Cup with a strong performance in the final. Bangladesh fought hard in phases but a victory with six balls to spare and eight wickets in hand is a pretty emphatic one in the end. Bumrah and Ashwin were the stars for India with the ball, before Dhawan and Kohli sealed the chase with that partnership. Dhoni had played only nine balls in the tournament. I am a twenty-something year old web girl from the US who has been working with Blog Designer since version 1.x. I work at Solwin Infotech where my focus is on Blog Designer and its surrounding ecosystem.